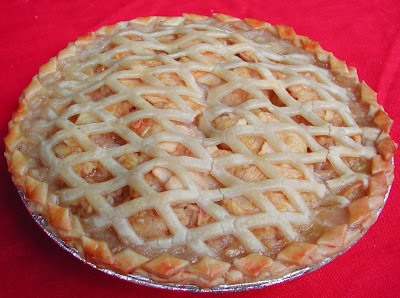 Yesterday was the big Apple Pie contest at the Tyler County Fair. I was a bit late getting my act together but I entered two pies. An Apple Cardamom Pie in the "use a store bought crust" category. 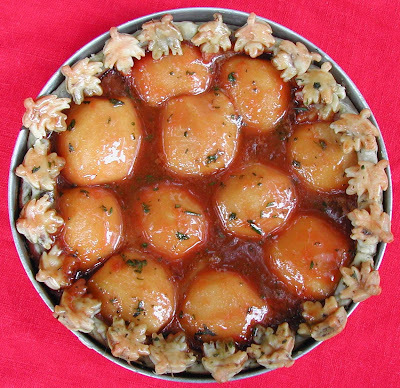 A Carmel Apple Pie in an Herbed Crust in the "make your own crust" category. It was my first "Fair" entry and I place second in both categories. I was shut out of First Place by Lynn "The Pieman" Burns. For the second straight time, Lynn swept all four apple pie categories! I heard his "Best in Show" ribbon was already hanging over the coffee pot. Congratulations, Lynn. Just wait till next year! inquiring minds need to know more about the caramel pear pie and especially its crust. maple leaf shapes?